Needless to say, we were off and running. I told him “It’s a book about the authenticity of the Bible and other topics related to Christianity.” He asked if it was “biased in any way.” I told him the author was Protestant and had written a well-referenced book of supporting documents and archaeological evidence for the authenticity of Biblical scriptures. He told me that in his youth he was a former Catholic seminary student who rebelled and determined that various tenets of the Catholic faith were false. That started him on a life-long journey as an atheist, then agnostic, then a venture into Buddhism, to today now in his 70’s, a knowledgeable skeptic. I ordered another glass of wine. He ordered another scotch-on-the-rocks. We settled into our seats and continued a stimulating conversation for the rest of the flight. A talkative man, he proceeded to recite his viewpoint of the historic compilation of the Bible as we have it in the modern era. His opinion is actually a very common perspective held by many people today. In his humble opinion, the Bible therefore is somewhat arbitrary and dubious in its sources. So put yourself in my shoes. How would you have responded to my new friend’s very legitimate commentary and question? First I told him that the actual carefully copied and preserved manuscripts of the Old and New Testament have long been established as legitimate by most scholars both liberal and conservative. The 1947 discovery of the Dead Sea Scrolls, containing 23 of the 24 Old Testament books, written between 250 B.C. to A.D. 68, confirmed the meticulous copying of Old Testament Holy Scripture as they matched exactly the earliest copies of manuscripts known which were dated 1000 years later. Then I told him that modern scholarship, save a few stubborn academics in very liberal universities, have all but discounted the Gospel of Thomas, Judas and others as clear deceptions written in the 2nd century by Gnostics far removed from Christian orthodoxy who attributed titles of disciples to gain credibility. My friend said he was not aware of this. We discussed the similar hoopla created by Dan Brown’s book The Da Vinci Code, which proved to be the product of a creative imagination mixed with spurious historic distortions. Then I also told him that the New Testament Canon was already well established by the end of the first century as the 4 Life of Jesus accounts (Gospels Matthew, Mark, Luke and John), the historic account of the birth of the Church after Pentecost (Acts), and the instructional guidance and teachings of this New Way/Christianity, sprung out of Judaism by Paul and other Disciples, was fairly well acknowledged through written and oral tradition. Recent scholarship puts the writings of virtually all of the New Testament within 40 years of the death and resurrection of Christ – an astounding credit to their authenticity as many witnesses to the risen Christ would have still been alive to support or refute. History shows us even enemies of Christianity could not refute the truth. My friend was not aware of this as well. Finally I finished up with a reference to other common Biblical distortions perpetuated even by our current President of the United States. I recalled, and he remembered, the press conference when the President highlighted Hebrew Mosaic Law and referenced the Hebrew endorsement of slavery, forbidding the eating of shelled fish, and the stoning of wayward children. The President admonished people “to read their Bibles!” His point was to highlight the foolishness of a “literal” reading of the Bible. I highlighted to my friend that this Presidential distortion reflected a lack of literal understanding of scriptural context. Hebrew Law was for the Hebrews at that time in the wilderness to separate them as the pure people through whom would come the savior of the world (Jesus). The Law has been made obsolete by a new and better Covenant through the blood of Christ, for all of us – Jews and Gentiles. The President should read the Book of Hebrews in the New Testament. Yes, the Bible is the literal Word of God; written and compiled by humans under Holy inspiration. But be careful with the “literal” word. While the Bible contains literal history and follows a singular narrative of God’s revelation to Man, it is also rich with symbolic metaphors and thematic parallels, foreshadowed types and models, prophetic proclamations, poetry, songs, wisdom discourses, apocalyptic visions, and instructional letters. The Bible should be approached with awe, wonder, and humility, and studied to fully understand context, genre, purpose and application. And for the record, read carefully, slavery is not condoned in the Bible, actually the opposite. And shellfish is Old Law. And the stoning passage was not for “children” but for evil adult children whose parents had to knowingly present and judges had to review evidence and agree that these “children” were rebellious, corrupted and destructive to the Jewish community. Remember, this was a purposeful theocracy for its time, not advocated for anyone outside the Old Law. We took a breather and had a robust discussion the rest of the flight on business (he’s a successful CEO and philanthropist), politics (we agree!) and NCAA sports (he’s a happy Villanova alum). I gave him a copy of my sales book and he wants to introduce me to some of his business associates. He also plans on reviewing my Biblical Viewpoint blog and ordering and reading the book, Has God Spoken? We parted friends, each uplifted by the interaction. 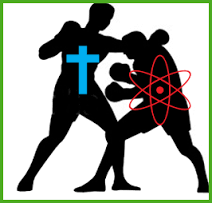 Do you have a clear and ready response in defense of your Christian faith? ‹ Do You Have What It Takes?